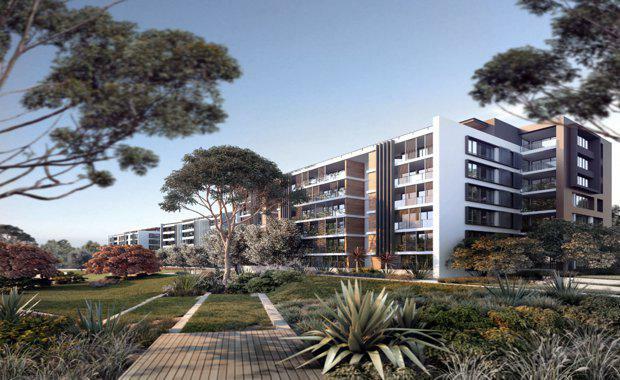 Frasers Property has reached a significant chapter in the creation of its premium new masterplanned community Putney Hill, with Stage 1, Victoria Road Precinct of the newly established neighbourhood now completely sold out. Representing $349 million in sales, Stage 1 comprises 85 luxury freestanding houses and terraces and 448 apartments, all designed by Cox Richardson Architects - which has proven extremely popular with homebuyers. Putney Hill's collection of luxury homes and apartments, enhanced by the 2.4-hectare Lardelli Park and Putney Hill's highly coveted location just 13 kilometres from the Sydney CBD, have experienced outstanding sales results since launching in 2011. Each of the five apartment buildings and 85 houses within Stage 1 has sold out prior to construction completion. "It's easy to understand why Putney Hill has captured the hearts and minds of homebuyers and is redefining the new Australian neighbourhood. The community's luxury homes and apartments, together with its positioning within a natural bushland setting around Lardelli Park and its pond, lifestyle benefits including the nearby Recreation Circle facilities, coupled with the pedigree of the Frasers Property brand, has really resonated strongly with the market. There's been a range of dwellings available suiting a variety of buyers from first homebuyers, downsizers, young professional families, to investors," Mr Lowe said.